From the beginning of my research about the Harvey Girls who so capably staffed the many Harvey Houses along the Santa Fe Railroad, I was impressed by the contribution these women made to the communities where they worked and lived. Slaton Harvey Girls were no exception. Most Harvey Girls met their future husbands while working in a Harvey House although dating was strictly chaperoned. To further complicate matrimonial aspirations, in the early years at least, the young women were required to sign a contract with Fred Harvey stating they would not marry until they had worked at least six months and married women could not work as Harvey Girls. By far the majority of the “educated women of good character” who came west to work for Mr. Harvey soon married and continued to live many years in the towns where they had once proudly worn the black and white uniform of the Harvey Girls. I hope you enjoy this excerpt from my book, Harvey Houses of Texas (The History Press, 2014). The story clearly illustrates the long-term influence Harvey Girls had on the communities where they worked and lived. My primary source for Fannie Belle Green Teague’s story was the transcript of an interview with her that is held in the archives of the Southwest Collection at Texas Tech University in Lubbock. Fannie Belle Green came to Slaton with the railroad. She had been a Harvey Girl at the Vaughn, New Mexico Harvey House before transferring to Slaton in 1912 to help establish the new location. Living in the dormitory-style residence of Harvey Houses must have seemed particularly luxurious to Fannie. Born in Bowie County, Texas, her family moved to Indian Territory in 1899, where home was a half-dugout on the flat prairie. By the early 1900s, her father relocated his extended family to remote Encino, New Mexico, where he worked as a carpenter. A female railroad agent at Vaughn, fifteen miles away, persuaded Fannie, her sister and a cousin to become Harvey Girls. Although a remote railroad location, Vaughn had its share of excitement, including a visit by Charles Lindbergh, who made an emergency landing in the desolate New Mexico desert and spent time at the Harvey House. However, Fannie was pleased with her transfer to the new Slaton Harvey House, where she found it more exciting with more railroaders and fewer rowdy cowboys. Serving customers in a Harvey House was a natural fit for Fannie. At age seven, when her mother became ill, Fannie cooked and served her first meal to men who were helping with the harvest. Although a chef and kitchen staff handled food preparation in the Harvey House, in Slaton, Fannie and the other four waitresses on the day shift were responsible for keeping Harvey coffee freshly made. The Harvey Girls had to memorize orders and pass them on to the cooks who committed them to memory and rang a bell when the food was ready. A notepad kept in an apron pocket was used only to total the cost of each meal for the cashier. The day shift began at 7:00 every morning and, after serving passengers from three trains plus railroad employees and local diners, ended at 6:00 p.m. A normal workday allowed for a two-hour break in the afternoon and unless there was a shortage of Harvey Girls, everyone was allowed one day off each week. Fannie’s social life may have been tame by some Harvey Girl standards. 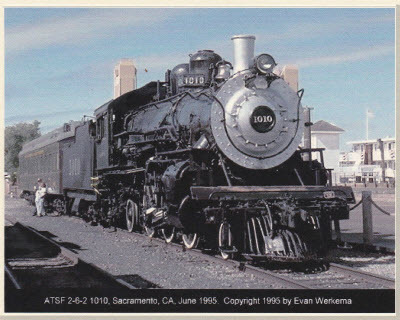 She usually went to the Santa Fe Reading Room next door to the Harvey House where an assortment of reading material was provided for train passengers and railroad employees. As Fannie strolled across the brick promenade to the Reading Room she began to take notice of Joe Teague Jr., the night ticket agent, as he walked to work each evening. Soon Joe began to come to work early so there was some time to talk to Fannie, and their time off from work was coordinated as often as possible. Fannie’s Harvey Girl career ended in 1915 when she and Joe married. The couple continued to live in Slaton, and the Teague family established the Teague Confectionary. The business, later named Teague Drug, remained a center of commerce and community socialization on the downtown square in Slaton until 1987. Young Fannie Greene had no idea what lay ahead when she left the established Las Chaves Harvey House and Hotel in Vaughn, New Mexico to move to the upstart railroad town of Slaton, Texas to open the Harvey House there. Perhaps she received a raise in wages and perhaps she was merely looking for her next adventure.